CASAC has lodged an application in the Constitutional Court to reverse the government’s decision to withdraw from the International Criminal Court. In a statement issued today, CASAC said the decision was unconstitutional because it infringed the principle of the separation of powers. 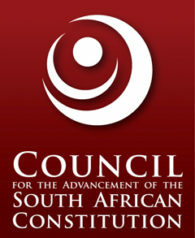 The Constitution made it clear that only the National Assembly and the National Council of Provinces could approve or withdraw from international agreements. Therefore, only parliament and not the executive could take South Africa out of an international treaty which it had previously ratified. It added the decision to withdraw would undermine South Africa’s global reputation and its commitment to international law, as well as its respect for human rights at home. CASAC has joined other organisations in expressing its concern about the decision to prosecute the Minister of Finance, Pravin Gordhan. In a statement released today, CASAC’s executive secretary, Lawson Naidoo, said the announcement that Gordhan had been charged with fraud, corruption and theft would have serious negative repercussions for the stability of the economy and the country as a whole, and raised profound questions about the integrity of key institutions of democratic governance.